Here’s today’s FREE crochet pattern. It’s a table runner that I designed for Red Heart in 2012. 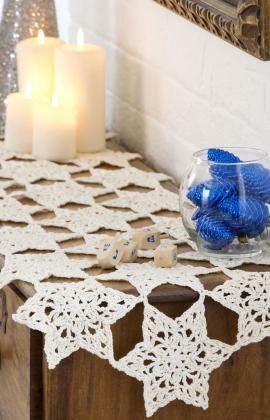 It’s called Star Table Runner and is made with size 3 Aunt Lydia’s Fashion Crochet Thread, along with a size D (3.25 mm) crochet hook. You can download this FREE pattern here. I think it would be great for Easter, as well as for Christmas, or all year long! I love crocheting motifs and I love thread crochet, too! These motifs are joined together at the points as you work them. The pattern includes an assembly diagram, as well as symbol crochet charts. 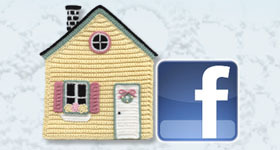 I hope you enjoy this FREE crochet pattern. You can even crochet one star and use it as a Christmas tree decoration, if you’d like! This entry was posted in Crochet patterns, Free crochet patterns and tagged crochet patterns, free patterns, thread crochet. Bookmark the permalink.